Learning how to start investing is intimidating. At least, it was for us. We got our first jobs when we were 16 years old. One of us worked at a car dealership cleaning cars to prepare them for resale, and the other worked as a grocery store cashier. Eventually we picked up 2nd jobs over summer breaks to save up money for college. And even though we started getting regular paychecks so early, we didn’t start investing until 6 years after we started working. The simple reason we waited to learn how to start investing is because we thought it seemed too complicated. We thought investing was only for rich people. We didn’t realize that it was actually the best way to build wealth. Movies make the stock market look like a flurry of activity and we just didn’t want to lose the little money that we had. 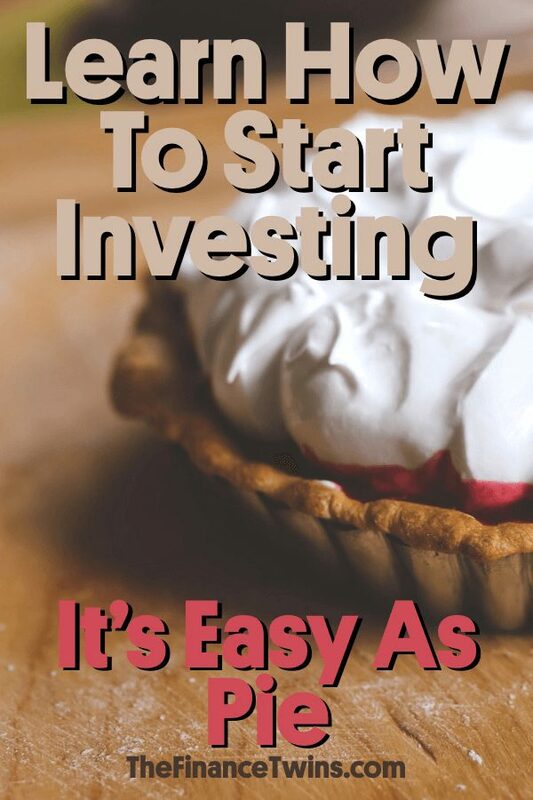 Now that we understand how simple it is to invest your money, we wish we would have started right away. 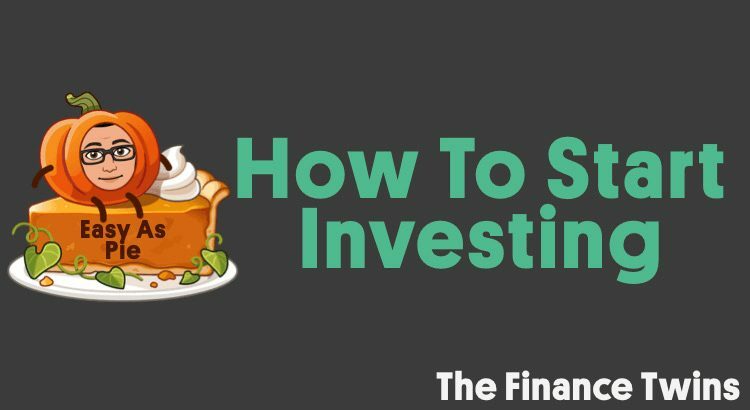 If you are looking to learn how to start investing, then this article is for you. You’ve probably already used our easy retirement calculator to figure out how much you should be saving for retirement. And now you want to know how you can start making your money grow in the stock market like they do on Wall Street, right? The truth is that learning how to invest in stocks is simple, but most people assume it’s complex and confusing. Before we start learning how to start investing, here’s some good news: You don’t need a degree in finance or to have worked on Wall Street to invest wisely! We learned that lesson the hard way, so you don’t have to! The first step is to decide which type of account you want to use to invest your money. Let’s break down the 2 major types of accounts you’ll use. There are multiple types of accounts you can use to get your money invested in the stock market. We like to first group them into two main categories: Tax Favored and Taxable Investing Accounts. Tax-favored (aka tax-advantaged) accounts are investing accounts that are given tax advantages by the government to encourage people to save for their own retirement. The big ones are the 401(k) and the IRA (including Roth IRA). Here’s our guide on how to open an IRA. On the other hand, Taxable Investing Accounts can be invested in the same way as 401(k)s and IRAs, but do not get the same tax advantages. The profits you earn in these taxable brokerage accounts get taxed as capital gains. This is in addition to the income tax you already paid on the money you put in! They do however have the advantage of being able to be withdrawn penalty free at any time. Regardless of which type of account you use, you will choose how your money is invested. You can buy stocks, bonds, index funds (basically a group of many stocks), or any other type of security (fancy word for investment that can be traded). The reason we recommend investing in this order, is because it will help you minimize the amount of taxes you’ll pay over your lifetime. This isn’t the right order for everyone, but for most, it will be more than enough. Remember that the tax-advantaged accounts like a 401K and Roth IRA have limits and cannot be withdrawn before retirement without paying a penalty. If you are hoping to save money for 10 years and then withdraw it for a large non-qualifying purchase (there are some exceptions for early 401K and IRA withdrawals), then utilizing a taxable brokerage account may be the right choice. Whether you want to open a tax-advantaged or taxable brokerage account, you have to select a brokerage firm where you will deposit your money and select your investments. There are a ton of different firms that you can use. The only exception here is that if your company offers a 401K retirement savings program, you must use the 401K service company that they select. Some of the standard names in the industry are Vanguard, Fidelity, Charles Schwab, and the list could go on. There are also ‘Robo Advisors’ out there like Wealthfront and Betterment, which are basically brokerage firms that decide what to invest in for you. And there are also start-up brokerage firms like Robinhood, though they offer more limited options. Ultimately, which one you pick is a personal decision. We like Vanguard and Fidelity because they offer a range of low fee investment fund options as well as the ability to handle both tax-advantaged accounts and standard taxable accounts. If you don’t ever want to even think about the investments, a ‘Robo Advisor’ could make a lot of sense, since they take your money and invest it for you (for a fee, of course). This step is where the fun begins. Everyone assumes that learning how to invest is complicated. But it doesn’t have to be. Actually, the data shows that it shouldn’t be. The dirty little secret that some of the big financial institutions don’t want you to know is that you shouldn’t pick individual stocks. Just don’t do it. We don’t care how much you love your Apple iPhone or Samsung TV. That’s not a good reason to go buy Apple or Samsung stock. If you aren’t convinced that you shouldn’t pick individual stocks you can read this. If you aren’t trying to pick individual stocks, then investing becomes extremely simple and you may even find it boring. And that’s a good thing. You’ll want to pick low cost index funds. These are essentially single investments that contain slivers of many different stocks. In effect, you’ll own nearly the entire stock market. The beautiful thing is that if you stick with diversified, low fee index funds, you’ll outperform the majority of professional investors. Remember, the best investments are the most simple. Once you’ve decided what to invest in, you’ll want to decide how risky to make your portfolio. Again, this is less complicated than it sounds. 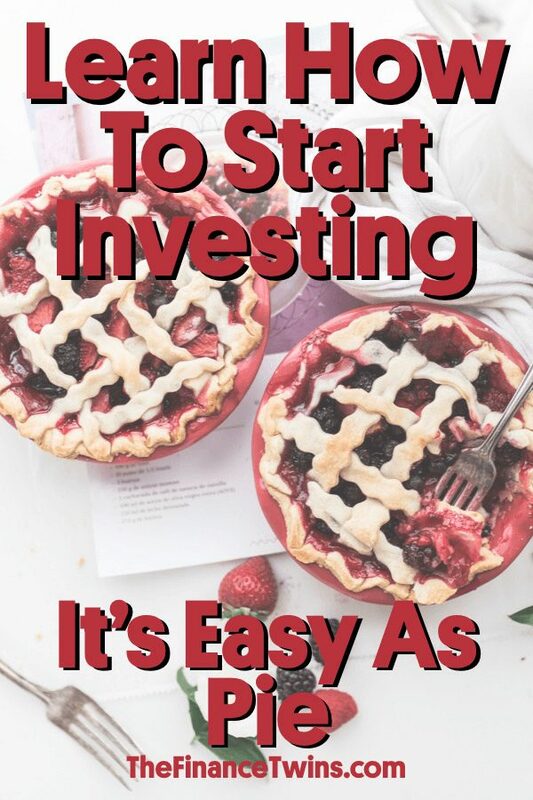 In a passive index-fund based investment strategy (the easiest and best way to invest), you’ll only need to pick as few as 2 or 3 different investments. One of those investments will be bonds. In general, the more bonds you invest in, the less risky your portfolio will be. But that doesn’t mean you should only invest in bonds to lower the risk. Bonds also have lower expected returns. Our guide on how to master asset allocation (the fancy word for the balance between stocks and bonds) will break it all down for you. In closing, just remember that investing is a lot less complicated than it seems. If nothing else, create a simple three fund portfolio. The only thing you need to know is that the sooner you start investing, the better off you’ll be. How did you learn how to start investing? Comment below! Thanks for the advice! I literally just opened a Vanguard account after reading this! Awesome! We still remember the day we first opened our Roth IRAs… Good times. Hi Ani, at the end of the day, deciding between a Traditional IRA and a Roth IRA is a win-win because it means you are saving for retirement. Our view is that based on the federal deficits that have been building up, at some point taxes will have to increase to pay for them. Maybe not this year, next year or even in the next 50 years, but at some point somethings got to give. I just read the article you mentioned and his entire argument is “don’t pay the government your money until you have to – at all costs.” He doesn’t think taxes will ever increase, so it’s easy to see why he’d think the Traditional IRA is superior in that sense. We just don’t happen to agree. At the end of the day, whether you invest in a Traditional or Roth IRA, you’re on the right path. The majority of your wealth will be based on your savings rate, since it will dictate how much you’ll have to invest. What is your opinion on the Stash app? I think the apps that make it easier to invest are great — if you need them. If you don’t need them, then you’re paying fees that you don’t need. But if the alternative is to not invest at all, the fees are a small price to pay for a brighter future. It really depends on how much accountability you need. It might make all the difference for some. Hi! Our site is based in the U.S. so our content is geared to this market. A lot of the principles (like investing 20% of your income or creating a budget) are universal. Nice post! I agree that index funds and mutual funds are a great way for people to get a toe in the water with investing. Canadians have RRSPs and TFSAs that are similar to IRAs and Roth IRAs. The Canadian versions are a little less punitive about early withdrawals. Well, then let’s move to Canada!! Mr. Pacino, we are big fans. A pleasure to have you here. Surely you have enough money from your movies to not be affected by early withdrawal fees (not to mention you are nearly 80 years old!). Thanks again for joining us!